The Science of Secrecy is a 5-part Channel 4 series presented by me, which brings to life the hidden history of codes and code breaking. It was first aired in October 2000. Although based on The Code Book, the series has its own specially adapted book tie-in entitled The Science of Secrecy. The series won the Vega Award for science broadcasting in 2001. Unfortunately, the series is not available on DVD, but clips are available on the free downloadable CD-ROM version of The Code Book. Since the birth of writing, there has also been the need for secrecy. 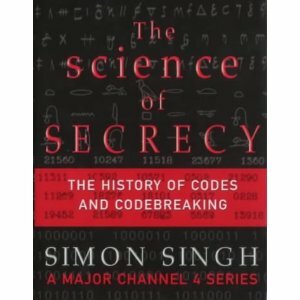 The story of codes is the story of the brilliant men and women who used mathematics, linguistics, machines, computers, gut instinct, logic and detective work to encrypt and break these secret messages. And, of course, when codes are broken the impact on history can be dramatic. In each episode of The Science of Secrecy, I tell a story from the history of codes: how Mary Queen of Scots was trapped by her own cipher; how the cracking of the ‘unbreakable’ Vigenère code remained a Victorian secret, hushed up by the British government; how the well-timed cracking of a single encoded telegram altered the course of World War One, and how the mysteries of the Rosetta Stone were revealed, resulting in the decipherment of Egyptian hieroglyphs. 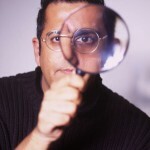 The Science of Secrecy also investigates present day concerns about privacy on the Internet and the invention of so-called public-key cryptography. You can watch the episode about public-key cryptography here. NB: The Science of Secrecy is my second book on cryptography. My first, called The Code Book, covers similar material to the Science of Secrecy. It is already available in paperback so it is somewhat cheaper.